Fact. 3 in every 4 US workers live paycheck to paycheck, according to a Harris Poll conducted on behalf of CareerBuilder. It is easy to chalk it up to poor spending habits, but is that the main thing that is keeping so many people counting coins until payday? I would dare say, no. While poor spending habits leave you feeling… well, poor, other factors such as debt, stagnant wages, and a constant increase of living come into play when looking at the stressful reality of living paycheck to paycheck. Yes, this is a financial issue, but for millennial women, it can also be a feminist issue. 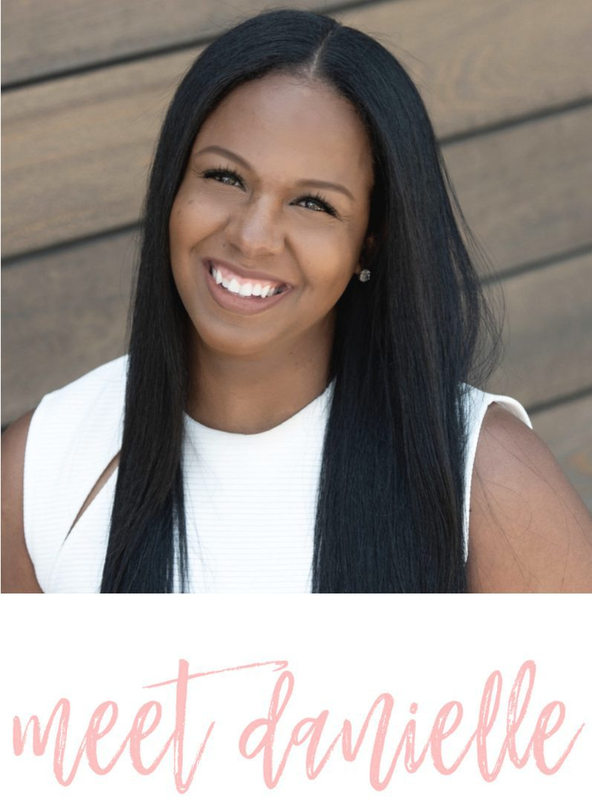 The online women’s magazine, Bustle, recently contacted She Makes Cents Founder, Danielle YB Vason, to get her thoughts on the subject. The fact that Bustle is promoting real conversations about money amongst millennial women is changing the way we as a culture think about talking openly about the subject. In the article, millennials from all over the United States share their experiences about what living paycheck to paycheck is really like. Maybe you can relate to their stories or maybe it opens your gaze to experiences of others, either way, it is a starting point to begin real conversations about money (how we spend it, save it, and invest it) and its direct impact on millennial women. Do you remember when dinner and a movie was a go-to date night activity? It was fun, it was easy if you and your date liked the same movies, and it was cheap…ish. Nowadays, dinner and a movie can easily run a couple close to $100.00+. If you break down the price of two tickets, dinner, and libations you can easily drop some serious cash before you even sit back to watch the movie. Seven dollar popcorn and a five dollar soda, anyone? Umm…no thank you. According to the National Association of Theatre Owners, the average cost of going to the movies hit a record high in the of $8.84 in the first quarter of 2017. I don’t know about you, but a $9.00 movie ticket sounds good to me considering the prices in my area are more along the lines of $16.50 per ticket. In fact, at the time of writing this post, I checked on two standard tickets to my local theatre and with taxes, the total comes up to $39.56 for just two standard movie tickets. No reclining seats, no RPX upgrades, no popcorn, and no candy. Since our very first date to the movies, the Mr. and I have been regular moviegoers and during that time, we have picked up a few ways to make the experience work a little better for our budgets. Below are a few ways we experience one of our favorite date night activities… dinner and a movie. Tuesdays. Before we were married, Thursday was our standing “date night”. This all changed when I found out about Ticket “Twosdays” that many service providers and rewards programs offer. As an AT&T customer, we take advantage of the nice perk of two standard 2D movie tickets for the price of one. I love it because it saves money and it breaks up the week to get us out of our routine. If we are having a movie-themed date night, we try to plan for Tuesday and you can too even if you don’t have AT&T. Other companies like T-Mobile and AMC movies have similar deals. Movie & Then Dinner. Going to the movies before dinner is a nice twist on the dinner and a movie classic. If you eat dinner first, you miss the opportunity to save on matinée pricing, which depending on where you live could be a savings of $7.00 or more per ticket. Additionally, you are less likely to load up on movie food or overpriced drinks by going to dinner first. If this is the first date, having a shared experience of attending the movie first can help fill in the blanks of awkward first date conversation during dinner. Actually Netflix & Chill. You can save money on a movie night experience from the comfort of your own home. In fact, this may be one of the best ways to watch a movie with your significant other… all snuggled up on the sofa together. You can have wine, whatever you like to eat, and you never have to worry about missing an important scene during a bathroom break. We all know what the teenage colloquialism of “Netflix and chill” means, but this money-saving tip works best if you actually watch the movie. Free Movie Screenings. The word “free” simply means that you don’t have to pay money. That being said, you can get access to advanced movie screenings weeks before the official release date in exchange for your opinion of it. How do you do it? Check out sites like GoFoBo.com or AdvancedMovieScreenings.com and sign up. I have done this a couple of times and really enjoy it because I can usually get two tickets and share the experience with someone else. Pro Tip: Make sure that you arrive early. They often over share the free code to attend the screening, so once theatre is full you will be denied entry. If going to the movies is one of your go-to date night ideas, why not save money doing it. In fact, with these tips, there is little reason to ever pay full price for a movie if you can help it. The stars do not always align where people are able to make an earlier movie or get out on a work night, but if you can, use your “cents” and save some money!